Hey folks! Time for another version of HE CRAFTS/SHE CRAFTS with my friend Stephenie Hamen from www.MyCraftyAdventures.com. 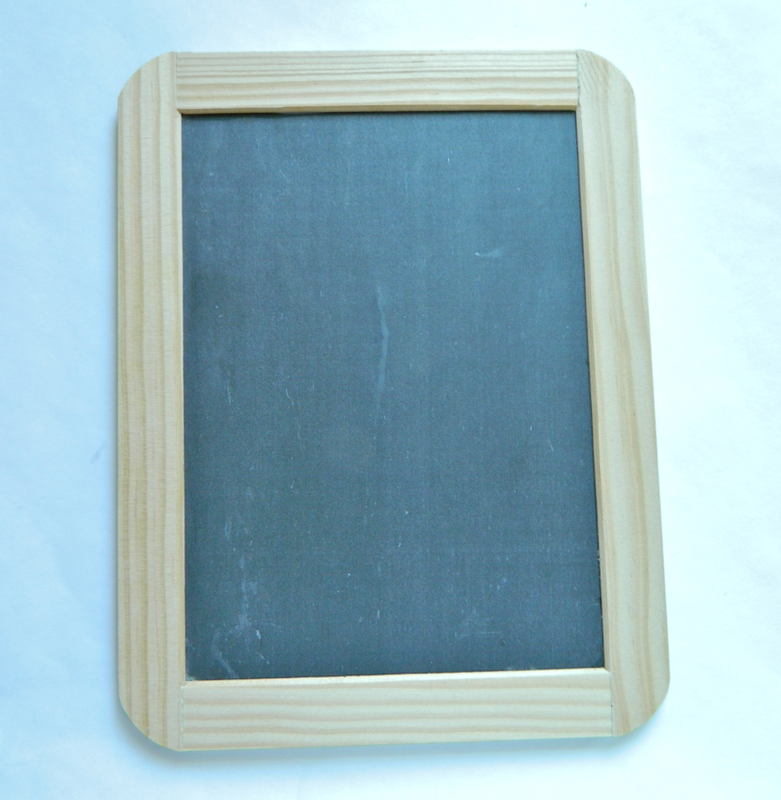 For this project we both tackled a small chalkboard. 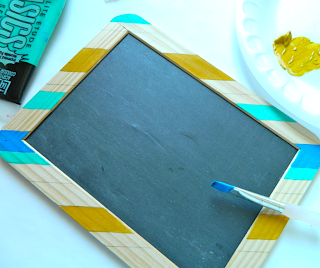 She's obsessed with chalkboards and chalkboard paint lately! FYI, Steph threw me a curveball and dismantled hers and didn't use the frame it came with at all. NOW THAT IS CLEVER and I take my hat off to her! 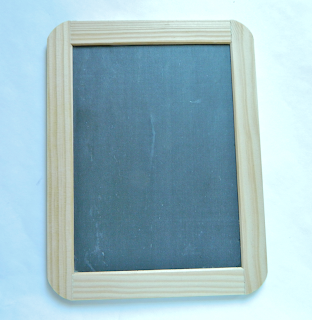 Here is my "He Crafts" version of the chalkboard. I've linked to Stephenie's blog so that you can see how she made her version. Stop by her blog and say hello, OK. WWW.MYCRAFTYADVENTURES.COM She's a good friend and I adore her. I decided to go old school and paint slanted stripes on my board. I kicked it up a notch by adding magnets to the back so I could stick it to my fridge. I tossed in some painted wood clothespins (my latest obsession) and glued magnets on them so that I could clip notes, coupons and photos. This is Stephenie's chalk board which is lovely....and very feminine. You rocked it Stephenie! Draw your lines in random widths at a slant on your frame. 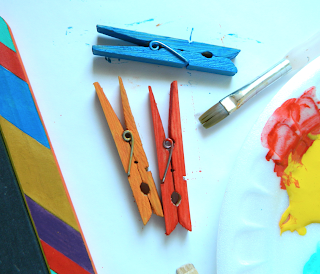 Paint your clothespins to match and let dry. great ideas. I love those magnet clothespins! I love the matching clothespin magnets! Adorable and so functional. Love both. 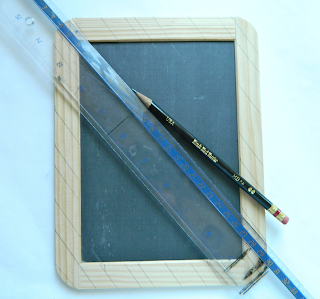 One is very elegant and would work in my office and the other my grandkids would love to keep their notes organized. love the color...and you can take the clothespins apart to paint so as not to get paint on the metal springs. i use them to hang my laundry and they come apart all the time. i like the pretty frame too, but the colors really jump out at me. Your chalkboard is very colorful, and I really like the addition of the clothespins. Clever man. So vibrant and eye-catching! Just what I'd need for a reminder board on the fridge! I love how different it is from Stephenie's! Yours is very cute- bright and cheery ! 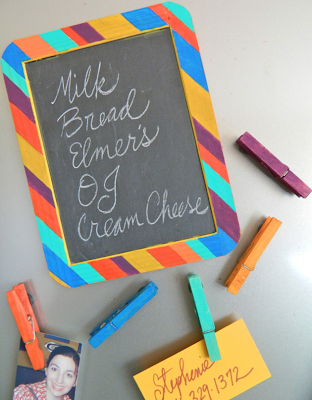 Would be great in a kids room, laundry room, kitchen -- anywhere! Two totally different takes on the same chalkboard! Well done to you both ! Love this....I may need to make one for my fridge!! Great project! It's interesting to see completely different projects from the same materials. Love the two different versions! 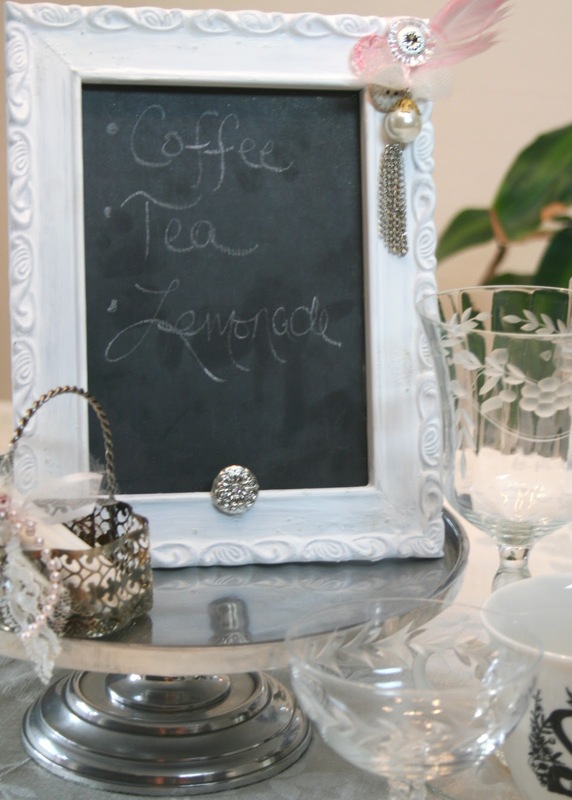 yours would be great to keep in my craftroom for instant inspiration! 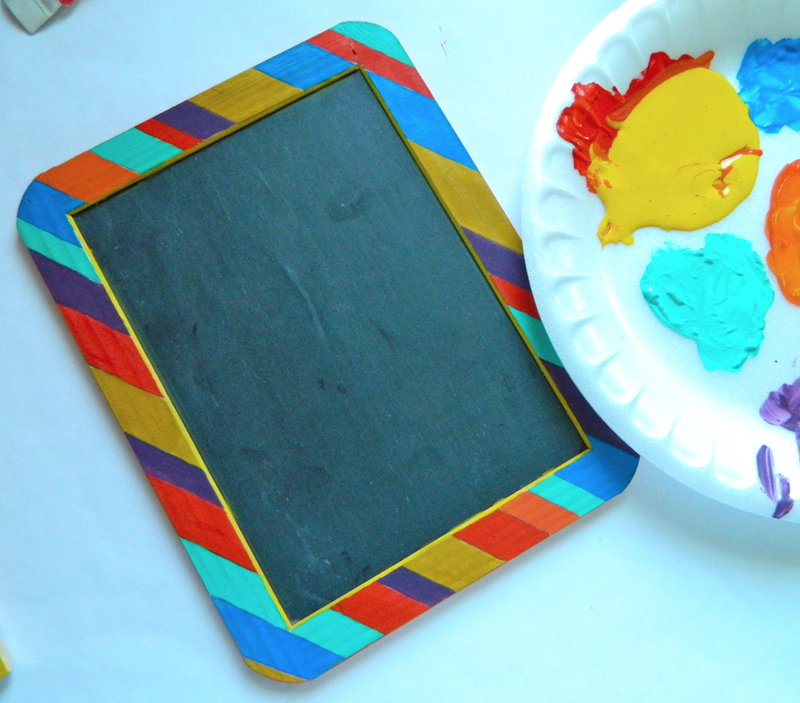 Just need to mention that not only is your chalkboard fabulous, but those colored clothes pins are so darn fun too! Very cute! Love the idea of using clothes pins as clips! 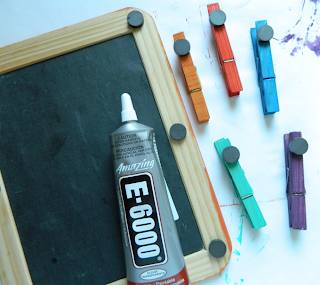 LOVE the magnetic painted clothes pins to match!